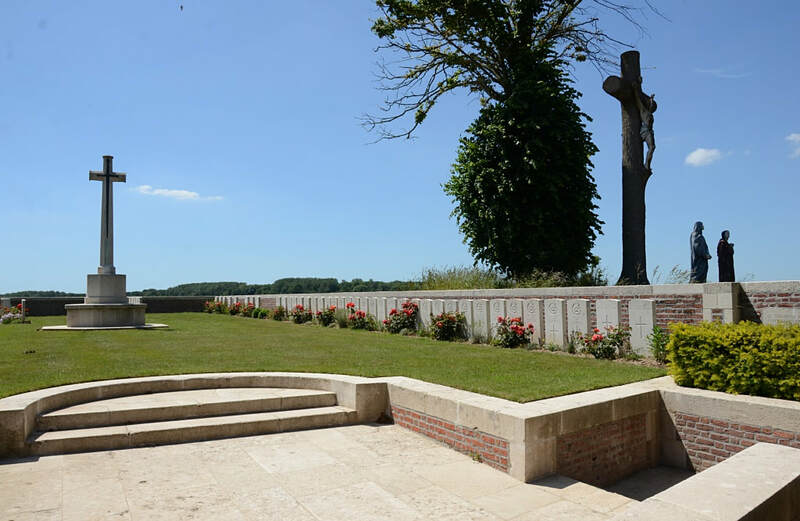 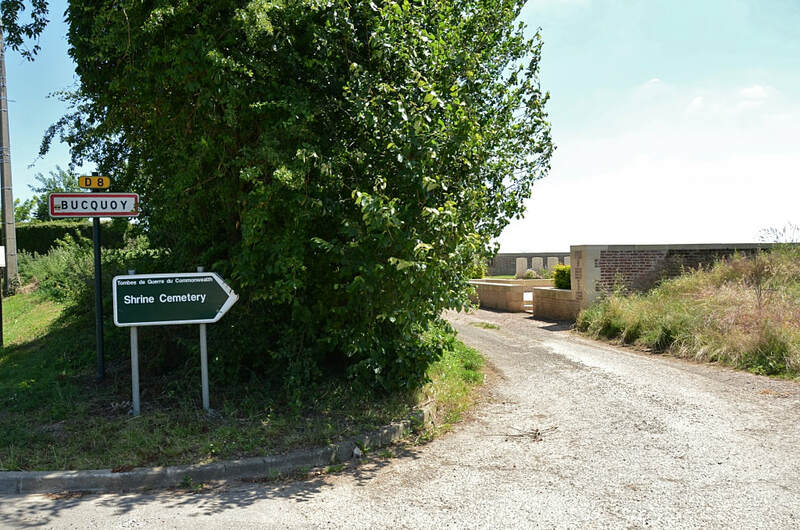 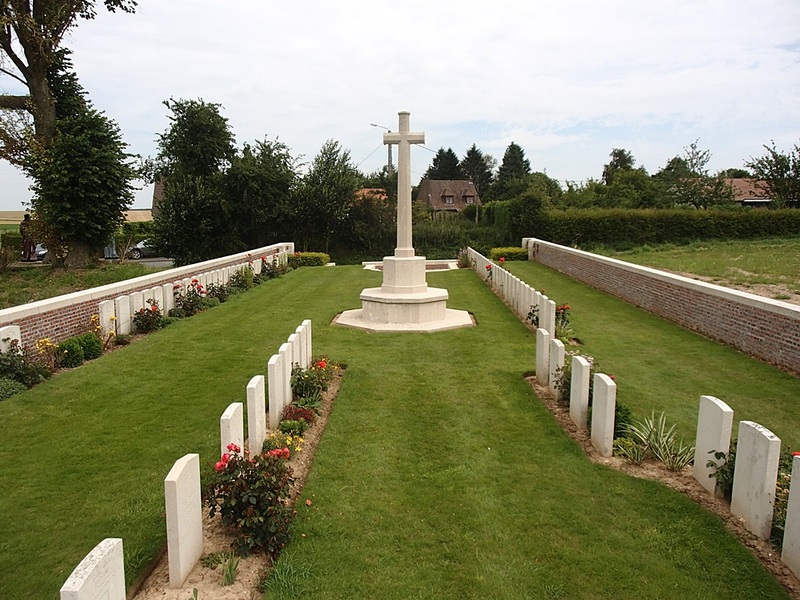 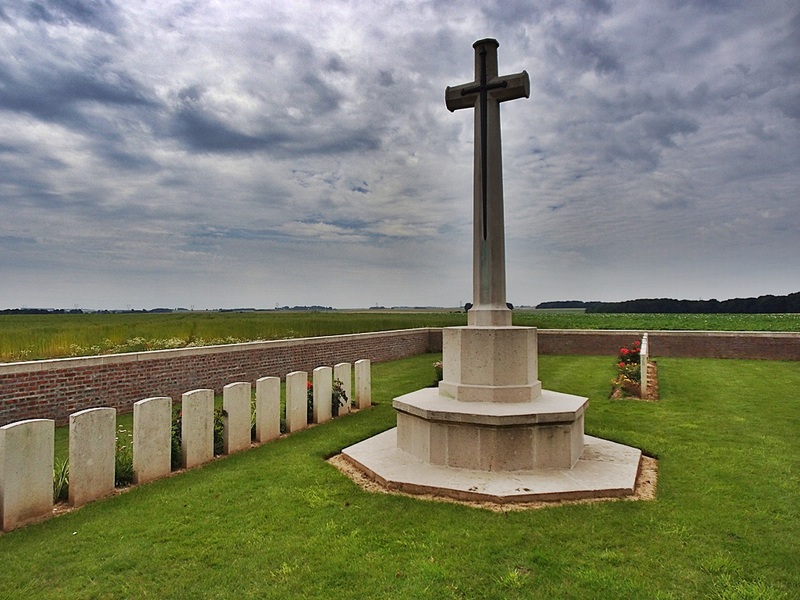 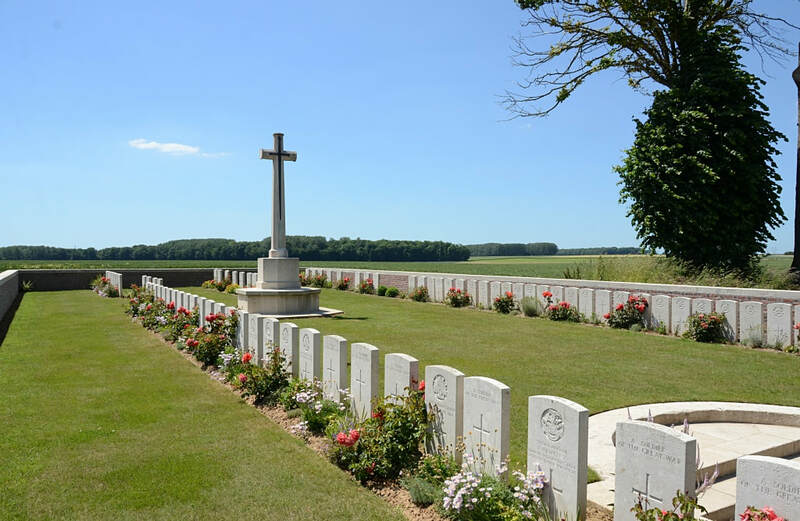 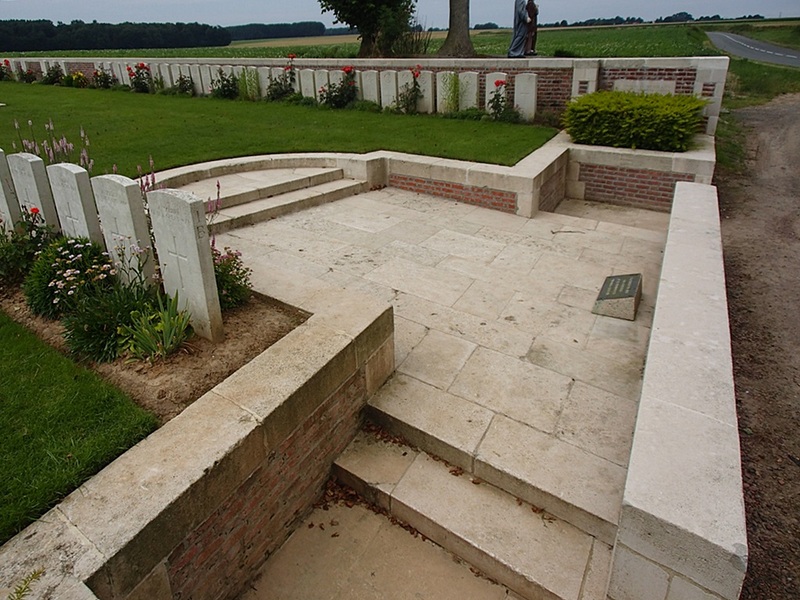 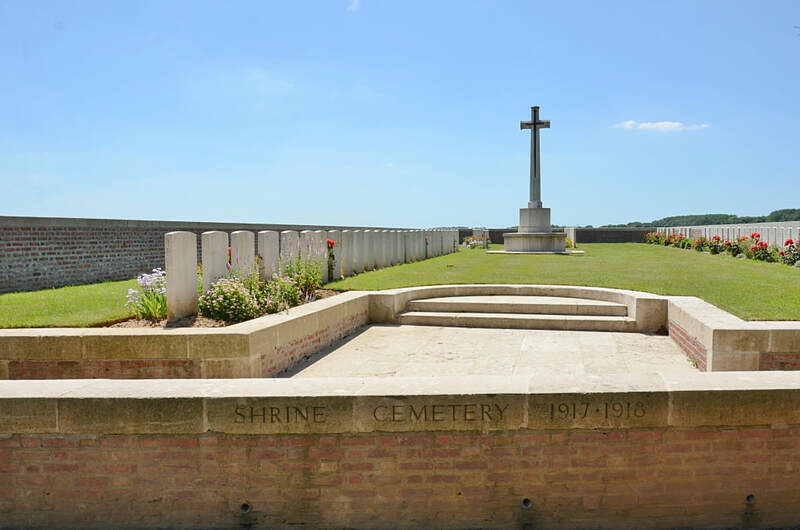 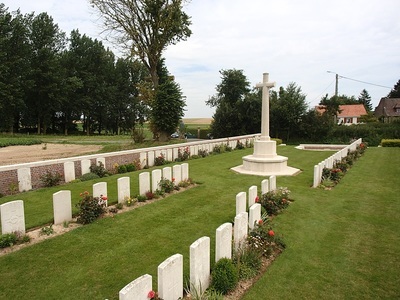 Bucquoy is approximately 19 kilometres south-south-west of Arras and Shrine Cemetery is on the outskirts of the village, on the south side of the road to Hannescamps. The village of Bucquoy was occupied by the 7th Division on 17 March 1917, and was the scene of very heavy fighting in March and April 1918. 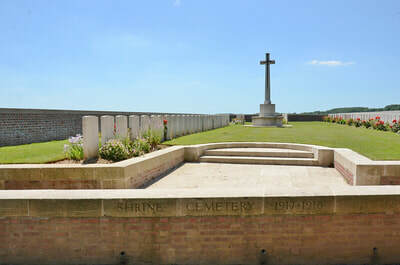 Shrine Cemetery is named from a crucifix standing on a mound on the west side of the village. 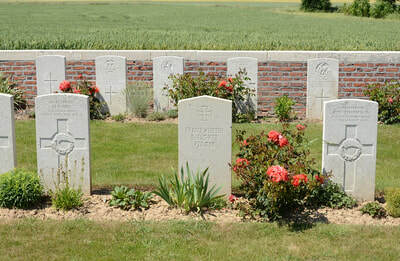 It was begun by the 46th (North Midland) Division in March 1917, and enlarged by other units in August 1918. 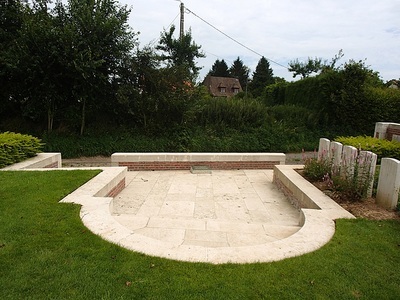 After the Armistice further graves were brought in, mainly from Le Barque and Eaucourt-L'Abbe. 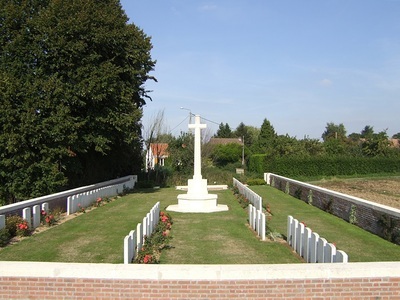 The cemetery now contains 89 Commonwealth burials of the First World War and one German war grave.